LOCATION: Heritage Park Aquatic Complex (HPAC), 310 S. Racetrack Rd., Henderson, NV 89015. (702) 267-2980. Map to Heritage Park Aquatic Complex indoor pool. TUITION: $495/person, $445/person if 2-3 register & pay together. Discounts available for LVTC and HPAC clubs. $225 for Smart Speed Sunday Refresher course. DESCRIPTION: This clinic is appropriate for any ability level with a reasonable level of comfort in the water. 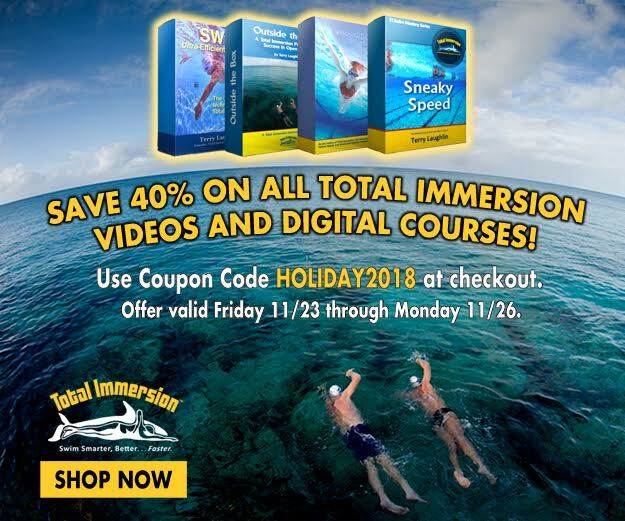 We often have newer swimmers learning at the same time as veteran triathletes improve their speed and efficiency, and the TI foundation allows all swimmers to progress together. left-side-streamline. Each stroke will move you farther and faster with less effort. choking. The air is free, take all you need. 1. 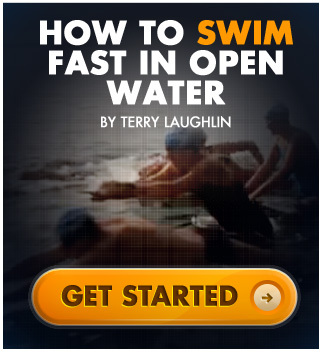 Swimming ‘Gears’, Learn your own best swimming gears . . . like those on a bicycle. Change speeds simply by adding a stroke to your count. Discover your best range of 3 stroke counts for this skill, and practice using them with expert guidance. 2. The Magic of Tempo A Tempo Trainer is an improvement-minded swimmer’s best friend. Use it to make striking gains in efficiency--then convert that efficiency into more speed. Sometimes in 15 minutes or less and with an ease that will surprise you. 3. The Math of Speed The equation Stroke Length x Stroke Rate (SL x SR) is the only exact and guaranteed predictor of how fast you’ll swim. Learn simple exercises and formulas for creating and solving speed problems. Also learn the combination of SPL+Tempo that precisely matches your present level of skill and fitness. For the classroom: Pad and pen for note taking. For the pool: An extra suit and towel if you want dry ones for the afternoon swim, an extra pair of goggles. We recommend that male students wear a Speedo-type brief or close-fitting triathlon swim shorts, rather than loose-fitting swim trunks, which can make balance even more of a challenge. Best to bring bag lunch and drink, break will be around 45 mins. There is a snack bar at the aquatics complex and there are a few places within short driving distance of the pool. LODGING: There are several options available near Heritage Park Aquatic Complex. Check with hotels.com and/or googlemaps.com for hotels near 310 S. Racetrack Rd., Henderson, NV 89015. Most hotels in the area accept AAA member discount. CANCELLATIONS: Weekend workshops: NO REFUND will be issued for cancellations LESS THAN 8 days prior to the scheduled workshop unless a doctor’s note can be provided. For cancellations at least 8 days prior to the scheduled workshop, any monies paid above the $250 deposit will be refunded in full. The $250 deposit per person remains non-refundable, but may be transferred to any future workshop within one year of initial registration. TRANSFERS: Weekend workshops: If a request to transfer is received 8 days or more prior to the workshop, a $100.00 transfer fee per person will be applied to a future workshop, and the deposit will be credited toward that workshop.